I am fortunate to be able to teach a 3-hour course every fall semester at Ole Miss called First Year Experience (EDHE 105). It is open to incoming freshmen only and is an elective class that focuses upon assisting these students in successfully adjusting to college life. 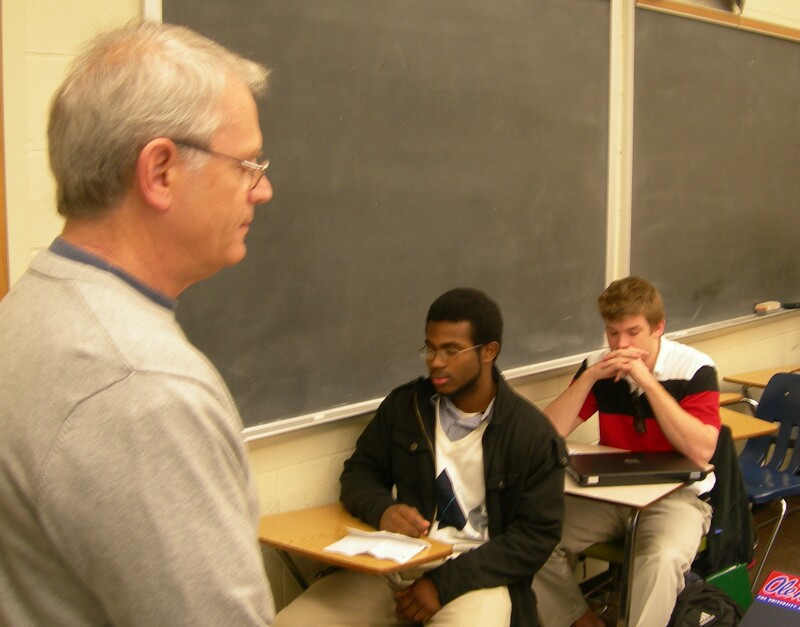 My class is intentionally small and intimate, never more than 20 students. I began teaching this class five years ago, and each year I have gradually increased the emphasis that I place upon integrating mindfulness practices into my pedagogy and into the assignments on my syllabus. We begin every class session by ringing the mindfulness bell and 3 – 5 minutes of mindfulness meditation in silence in which I invite my students to settle in and give themselves permission to just be fully present in my classroom. 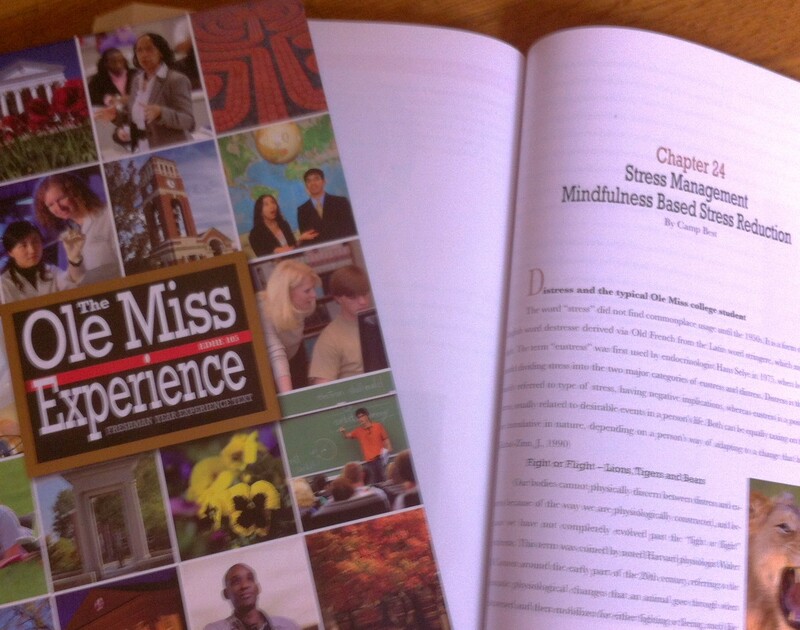 I have also been given the privilege of authoring the chapter in the textbook for this class on Mindfulness and Stress Management.